The Space Science Centre aim is Research and Postgraduate Studies in Space Science for: Satellite Communications; Navigation and Surveillance (CNS); Satellite Fixed and Mobile Communications; Satellite and Platforms Space Segment and Engineering; Multipurpose GEO Spacecraft with Communications, Meteorological and Navigation (GNSS) Transponders; Satellite Earth and Meteorological Observation; Satellite GIS; Ground Segment and Infrastructures; Satellite Materials and Electronics; Satellite Asset Tracking and Fleet Management (SATFM); Satellite SCADA or M2M; Satellite Digital Video Broadcasting-Return Channel via Satellite (DVB-RCS); Satellite E-solutions; Stratospheric Platform Systems (SPS) for CNS: Airships and Aircraft; ICT and Data Processing; Intelligent Transport Systems (ITS); Augmentation of GNSS (GPS and GLONASS) Solutions; Logistics; RFID; Surface and Space Alternative Energy; other Radio and Space Technologies and Techniques for Modern Transport Systems; and additional future developments. What makes approach of our Centre unique? It is our focus on research enhancement in Space Science and CNS, skills development and specialization including realization of practical projects employing modern techniques, technology transfer and innovations, rather than providing research without practical solutions or asking other countries for help. 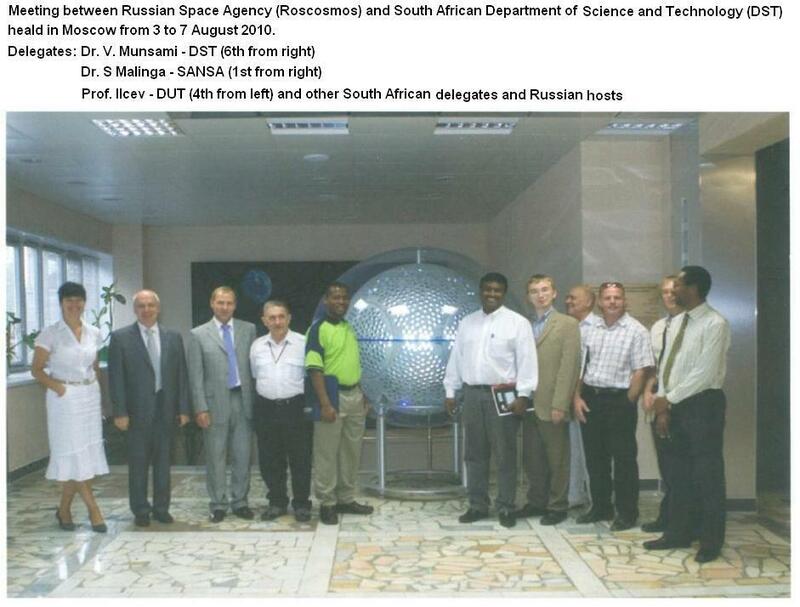 Our explicit intention is to produce skilled professionals at first, for the South African (SA) I particular and African in general Space Program and later to provide intensive research, solutions, designs and projects of Satellite CNS Space and Ground Segments in collaboration with our domestic and foreign partners. The main purpose of our Research Enhancement Pillar in Space Science and CNS is also to provide, propose and realize many projects for the South African government and African Continent and improve practitioner capacity. All research outcomes, projects and innovations come with the fact that the various offerings in the Projects Enhancement Pillar are driven by professional practitioners for practitioners. Of course, we are going to realize partnerships with domestic and foreign universities and companies to help the augmentation of our research, projects, postgraduate studies and theoretical and practical perspectives. In addition, our last mile of success will be the establishment of the first Space Science Institute, which has to provide all innovative projects and developments in Space Program and to design SA Satellite CNS and ICT System of Multipurpose Satellite Space and Ground Segments.